Hockey, Love, & GUTS! – Chapter 9 – Page 242 – Smells like teen… girl. Fifi has a keen sense of smell but not a lot of good deductive reasoning. 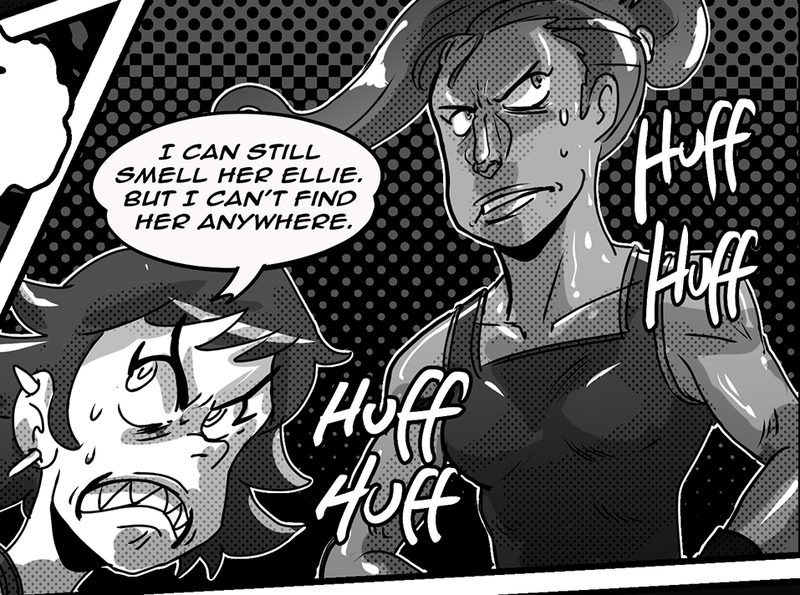 Ellie has too much deductive reasoning, but can’t imagine the absurd notion of Pearl being there in disguise… or that’s how I justify this story point, ok?